In his judgment, Hon. Justice K. O. Alogba gave victory to Ericmany. 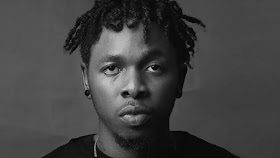 The Judge found that the failure of Runtown to get to Adazi in Anambra State and perform at the carnival was justified as the group’s arrangement was very shoddy. The Court agreed with Ericmany that the Dynamic Minds League was reckless about the contract when it failed to book flight tickets ahead. The Court also held that the group did not prove how they are entitled to their N14 Million claim as it did not adduce cogent evidence. Each of the claims was therefore dismissed. Justice came the way of Ericmany Entertainment barely three years after the Dynamic Minds League flooded the print media, social media and several blogs with news of the alleged breach of contract and its N14 Million suit against Ericmany and Runtown.